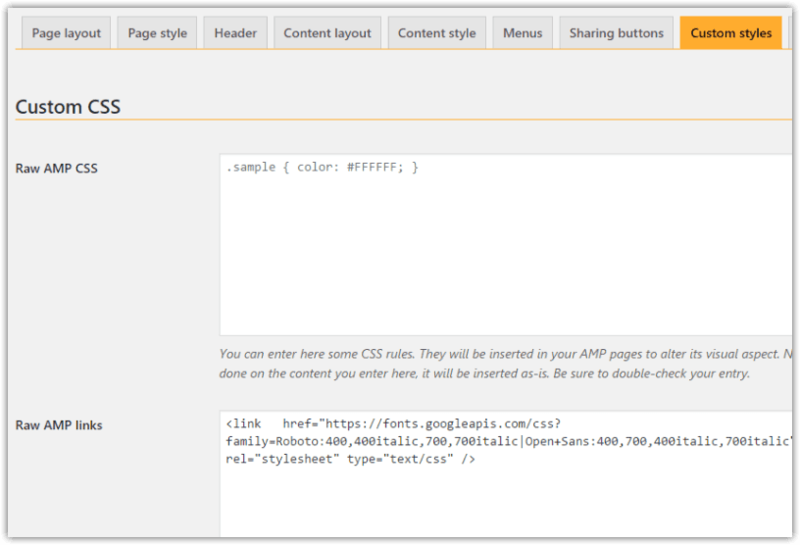 weeblrAMP offers already quite some level of customization, directly from its control panel, when it comes to changing the visual aspect, colors, etc of your AMP pages. However, this may not be sufficient for the level of customization your desire. The next step is to add your own CSS to override the CSS built-in weeblrAMP default them, or add more CSS for your specific content.